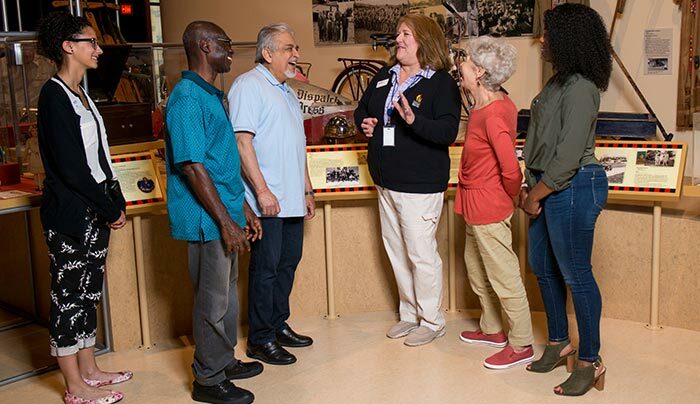 House of Memories is National Museums Liverpool’s museum-led dementia awareness program which offers training, access to resources, and museum-based activities to enable caregivers to provide person-centered care for people to live well with dementia. As a museum, we understand that a person’s history and memory are of great value and significance — especially for people living with dementia. House of Memories has been developed to support caregivers in the sharing of memories with people living with dementia, improving communication and focusing on the person rather than the condition. Informative, practical workshops enabling professional and family caregivers to support people living with dementia to live well with dementia. Families and friends, caregivers—this is for everyone. If you know someone who’s living with dementia, you have just found an amazing, amazing tool that’s going to help their day be better, and your day be better, no matter who you are. A range of free, dementia awareness training that supports the development of an informed and effective workforce for delivering person-centered care for people living with dementia. Free dementia awareness workshops for caregivers, families, friends and community volunteers to support you and your loved ones. The easy to use My House of Memories: US app is free and allows you to explore objects from the past and share memories together. It can be used by anyone, but has been designed for, and with, people living with dementia and their caregivers. 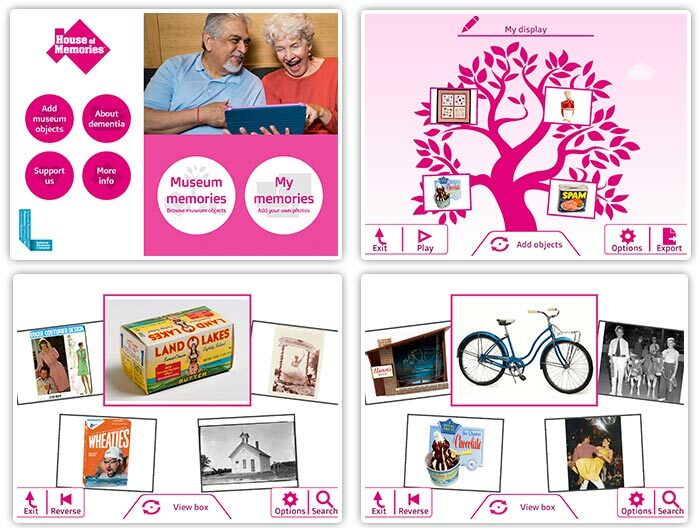 The app has pictures of objects from across the decades, which are brought to life with sound, music and descriptions, and provide an easy-to-use way to help people living with dementia explore things that resonate with them. 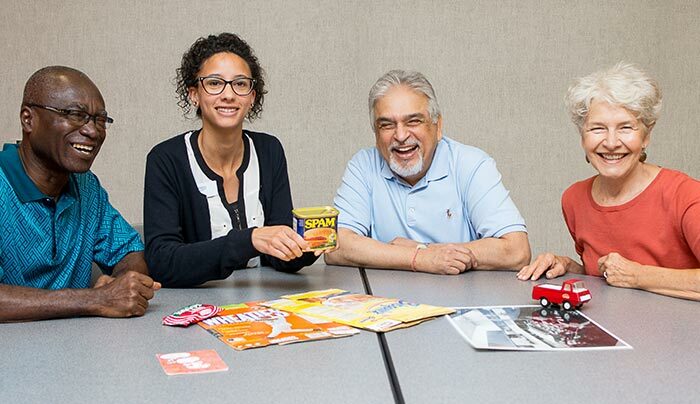 You can browse the objects, which include everyday things such as a Tinkertoy set, a concert ticket, and a pair of Converse All Stars and you can save your favorite objects to a digital memory tree, box, or timeline. 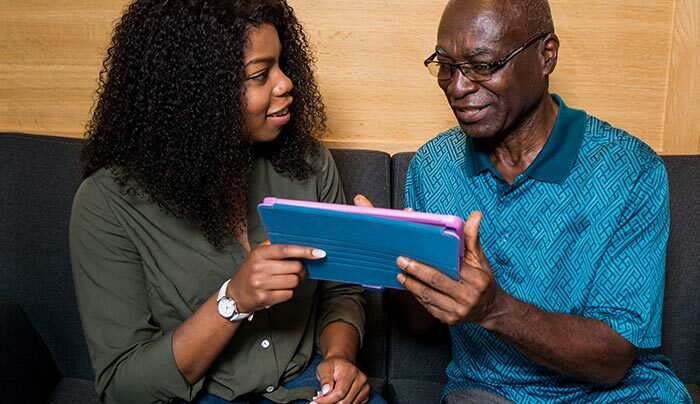 The app has a “My Memories” feature, which enables users to upload their own photos to share precious personal memories with the people they care for living with dementia.